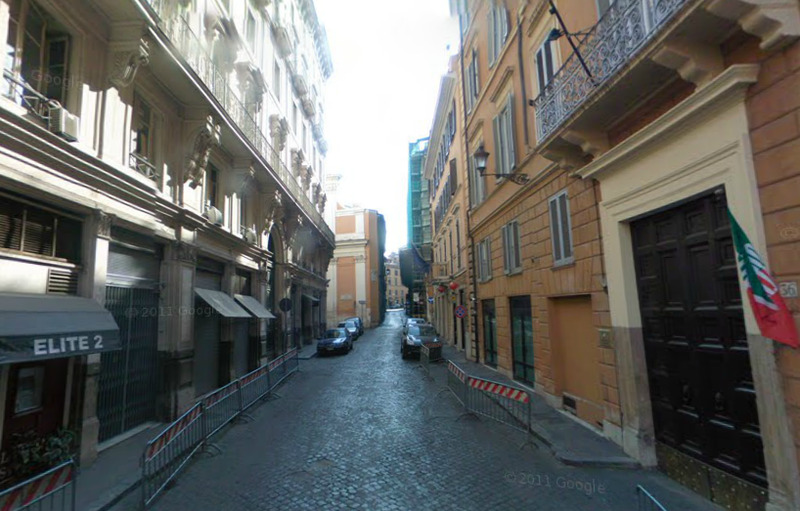 Rome, Italy — The headquarters for Silvio Berlusconi’s party, PDL, is on a narrow street called Via Dell’Umilta at number 36. Via Google Street View, you can see the PDL headquarters on the right. And on the left is something called Elite 2. We were by there today. It’s perfect, given Berlusconi’s well-known reputation. 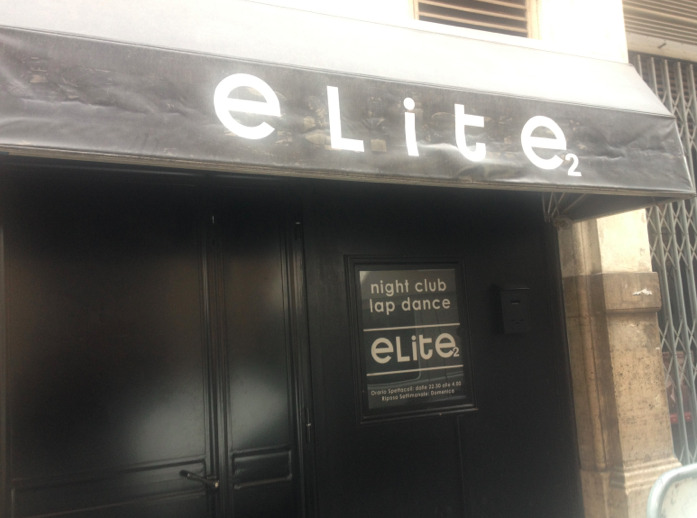 But Berlusconi’s main office isn’t the only office in Rome to have an inappropriate establishment or business nearby. Not far from Berlusconi is the headquarters of the PD, the big rival liberal party. Look what they have right next door: the bank Monte Dei Paschi di Sienna. We’ll explain why that’s important below. We’ve circled the PD logo on the left, and the bank logo on the right. Anyway, one reason this election is seemingly as close as it is, is because Monti Dei Paschi recently required a bailout, and it’s extremely closely affiliated with the PD. Siena, where the bank is from and has existed for over 500 years, is a big leftist stronghold, so when the bank recently went down, the PD and its leader Pier Luigi Bersani took a big hit. 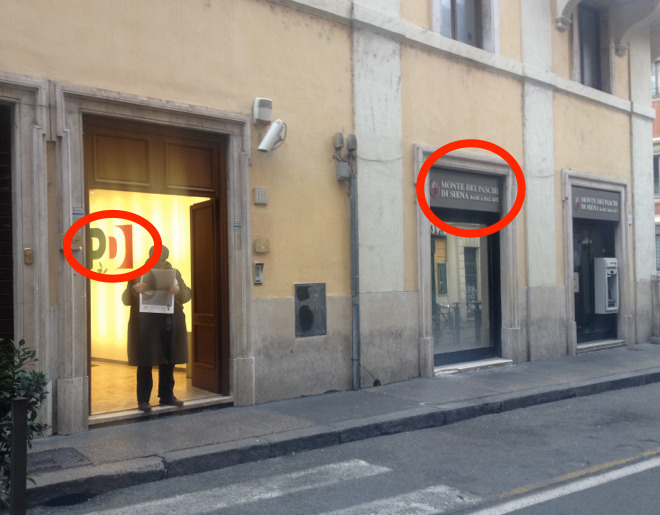 So both the offices for Berlusconi and the offices for his main rival have perfect establishments nearby that basically tell the whole story of the election. For more on the downfall of Monte Dei Paschi, see this great NYT story that was published on Friday.